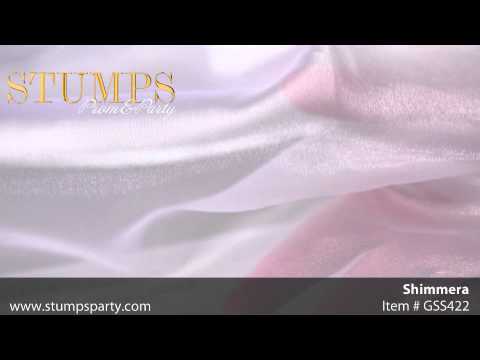 Our Ivory Shimmera is perfect to add elegance to your party with it's iridescent look. Ivory Shimmera is a lightweight polyester woven material and measures 58" wide x 20 yards. Use Ivory Shimmera to decorate everything from your tables, chairs or create breathtaking backdrops! The shimmera is transparent but, can be layered for a more opaque look.